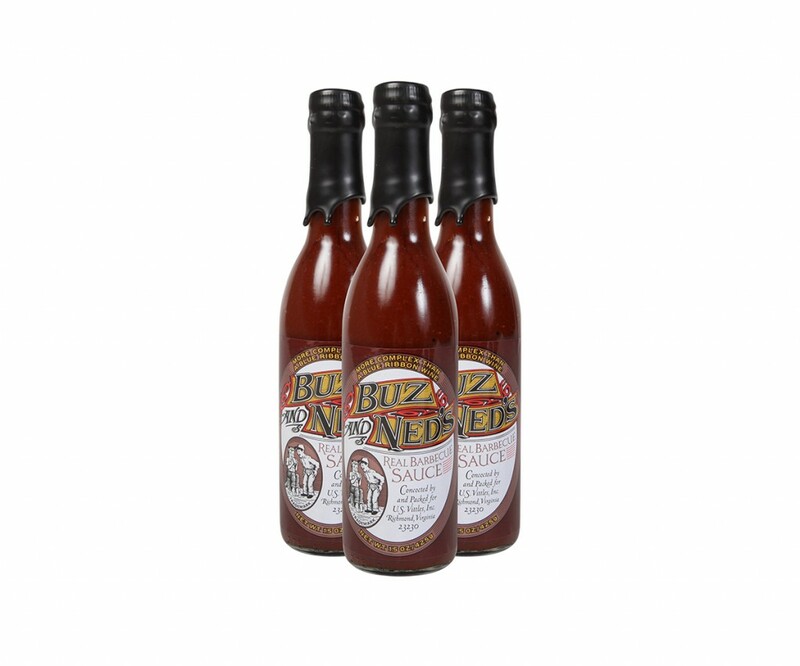 At Buz and Ned’s we use this exact same sauce for glazing barbecued beef or pork ribs, pork chops, chicken, turkey, and duck. It yields a deep mahogany color, a complex sweetness with enough acid to balance and is concocted of 22 secret ingredients. Our Rib and Chicken Glaze is extremely complex and will give your food the most incredible taste and a professional chef appearance as well. 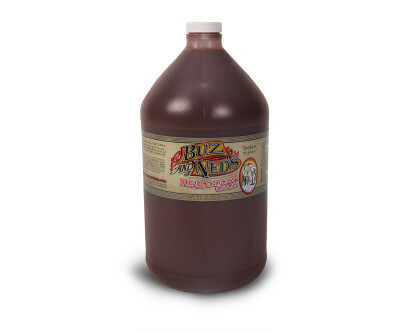 Using simple all natural ingredients, our amazing glazing sauce contains no fats and is low in sodium. 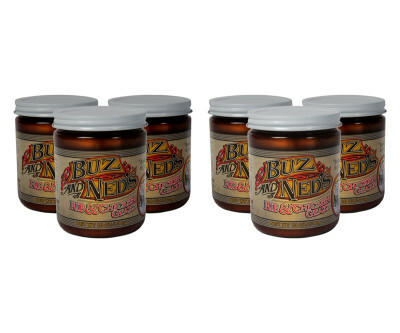 Our glaze is made without any added thickeners, stabilizers or extenders which cause premature burning and an off-taste at high temperatures. 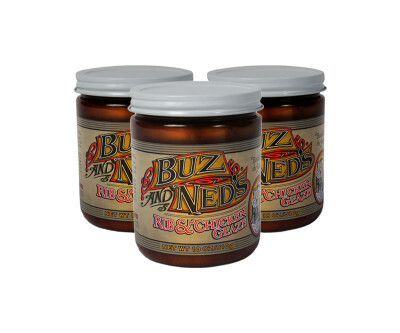 This is the very same sauce Buz used on the spare ribs that beat Bobby Flay on Food Networks Throwdown with Bobby Flay. This sauce is shipped in a pint glass jar with a wide mouth top. The actual net weight of the sauce in the jar is 18 oz. When kept refrigerated in the jar the shelf life is more than a year. Its fat and gluten free, low sodium and all natural. 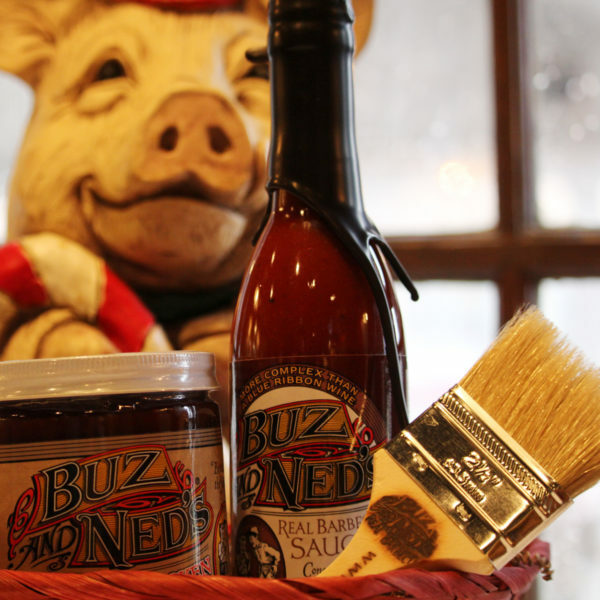 Each carton comes with a cool complimentary 2.5″ natural bristle sauce brush with a wooden handle that’s been fire branded with the Buz and Ned’s logo.